FRIDAY, Nov. 17, 2017 (HealthDay News) -- There's an easy way for parents to help cut their child's chances of ending up in the hospital with the flu -- get them vaccinated, researchers say. For the new study, the Canadian researchers analyzed the medical records of nearly 10,000 children, aged 6 months to under 5 years, over the four flu seasons between 2010 and 2014. All lived in the province of Ontario. Among children fully vaccinated against the flu, those aged 2 to 4 years had a 67 percent reduced risk of hospitalization due to the flu. Those 6 months to 23 months old had a 48 percent reduced risk, the study found. Even those who were partially vaccinated (one dose of flu vaccine during their first flu season) had a 39 percent reduced risk of flu-related hospitalization, according to the study. "Influenza can cause serious illness, especially in young children, but there hasn't been a lot of research that has examined the magnitude of the influenza vaccine's effectiveness at preventing kids from getting really sick and being hospitalized," said study senior author Jeff Kwong, a scientist at Public Health Ontario. "This research paper helps fill that gap by showing how effective the influenza vaccine can be at protecting young kids against serious complications from influenza infections," Kwong said in an agency news release. 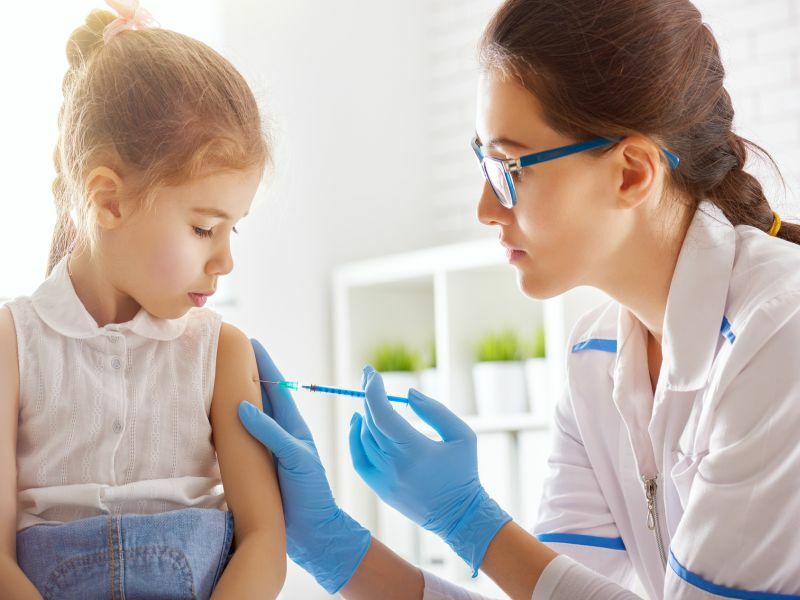 The study contributes to the evidence that children should receive their seasonal vaccine annually to prevent serious flu complications, said the study's lead author, Sarah Buchan, a doctoral candidate at the University of Toronto. Children, especially kids younger than 5 years, are at higher risk for serious flu-related complications, the U.S. Centers for Disease Control and Prevention warns. The CDC recommends that everyone 6 months of age and older get a seasonal flu vaccine. The study was published online Nov. 17 in the journal PLoS One.